Spiritual Direction is an intimate and contemplative spiritual process between an individual and a trained Spiritual Director. Together, the pair explores the spiritual aspects of being human, often within the context of major life circumstances or life changes. In spiritual direction, you reflect deeply on the experiences in your spiritual life. Gradually, as you contemplate, you may begin to recognize God’s presence and grace in your life. Spiritual direction is not about being directed. Rather, it is very much about being encouraged to draw closer to God or spirit. Spiritual direction invites you into this relationship whether you attend a church, mosque, synagogue, temple, or none of these. is a gift beyond imagining because it ripples out in every direction for the good. Our Spiritual Directors come from and practice in their own religious traditions, a rooting that is open to and honors the weaving of the Spirit through diverse traditions. This foundation frees us to learn from, partner with, and serve all who come. To learn more about working with the following Spiritual Directors, please contact Tom Morgan. MARILYN BUEHLER values the truths reflected in all spiritual traditions. Having studied both eastern and western wisdom, she honors each person’s unique journey. Marilyn provides a reflective, listening presence to help individuals discern their unfolding inner life. A certified Spiritual Director through the Franciscan Spiritual Center in Milwaukee, Oregon, she enjoys contemplative practices and is a lay associate of the Camaldolese Benedictine monastery in Berkeley. She has long been a meditation teacher and offers classes in chair yoga and wellness topics for body, mind, and spirit. Marilyn has a Master’s of Divinity and was ordained as an Esoteric Christian minister. Her background also includes IT project management and systems analysis. Marilyn enjoys spending time in nature, in her garden, walking along the American River, and being in the mountains. WYN CANE was raised in a rural setting and grew up with a love for nature and seasonal changes. Silence, observation, listening, and discovery as she roamed the hills became an integral part of her. Her interest in spiritual direction grew out of annual silent retreats, retreats for boys at the high school level, participation and facilitation in a contemplative group rooted in the practice of “lectio divina,” Days Apart, and women’s retreats. Wyn was trained at the Spirituality Center in Los Angeles. She also is a trained Hospice Volunteer and Stephen Minister, and has contributed to the Day with Directors at Bread of Life. She believes there is a divine spark, a source of wisdom, and knowing at the heart of human existence and finds it a privilege to companion those who choose a deepening of their spiritual journey. LUCIE CHALIFOUR is a layperson in the Catholic Church and has been a healthcare worker, a childbirth educator, and a doula. She has a deep understanding of how the sacred rhythms of living and dying can mirror and be integrated within the journey of the heart and soul. Lucie also serves as a facilitator for one-day retreats or extended experiences for church-related and non-religious groups. Guided meditation and storytelling in facilitated groups are a way of inviting participants to open their eyes to the extraordinary within the ordinary. She offers direction for small groups as well as individuals. Appointments are available in Sacramento at Bread of Life as well as Woodland. She was formed as a Director through the Bread of Life internship program. LINDSAY DEMARY is passionate about accepting and celebrating the uniqueness of individuals. She believes everyone has a sacred story and creates an open and welcoming space by inviting others into honest dialogue about their story. She seeks to accompany people from all walks of life and in whatever season they find themselves, whether they are experiencing times of celebration and joy, despair and grief, or anywhere in between. As the mother of a toddler, she looks for how God works through the parent-child relationship and loves to learn from the wonder of children as they discover life. Her practice offers the integration of traditional prayer practices, creative expression, and the analysis of spiritual temperament. She received her Master’s in Spiritual Formation and Soul Care from the Institute for Spiritual Formation at Talbot School of Theology. JEFF MITCHELL came to spiritual direction attending to his own needs, and found a calling to listen compassionately to others. He considers himself a companion with others on the journey, and is honored to listen and affirm those seeking to explore and share their sacred stories. Serving people in the church and community as a pastor for 35 years has impressed upon him that all people matter and long to be welcomed and heard. 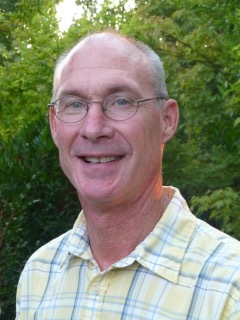 Jeff has been a Spiritual Director for 15 years, having received formation at Bread of Life. He is a presenter for the Centering Prayer Workshop for Contemplative Outreach, Ltd.; and enjoys leading retreats, workshops, and classes. His themes include Spiritual Formation, Leadership, and Contemplative Christianity. His book, The Gift: Ancient Secrets of Solomon’s Wisdom, is historical fiction recounting Solomon’s relationship with Zadok, his spiritual director and priest. Together, they explore and examine what are to become Solomon’s Seven Pillars of Wisdom and Spiritual Formation. TOM MORGAN provides Spiritual Direction at Bread of Life and at Mercy Center in Auburn. Born and raised in Germany, he is a military veteran, and has a background in student affairs at several universities with extensive experience living and working in an Asian-American context. He provides spiritual direction for a broad range of individuals from various faith traditions, including spiritual seekers, veterans, clergy, young adults, and those from the evangelical tradition. Tom also has pastored several churches in the Sacramento region. His other interests include monastic and contemplative spirituality, the Enneagram, various Christian meditation practices, and encountering God in art and nature. Tom received his formal training as a Spiritual Director and also as a supervisor of spiritual directors through Christian Formation & Direction Ministries in Los Angeles. LEW ROBINSON, a recently retired university professor, brings to the spiritual direction relationship a practical understanding of Jungian psychology as well as firsthand experience in 12-step spirituality as a sponsor, a facilitator for small spirituality groups, and a longtime participant in a recovery group for men. After completing the three-year internship at Bread of Life, Lew began volunteering as a Spiritual Director at a non-profit, Franciscan Living: Urban Center for Spirituality, in Sacramento. He delights in accompanying individuals in various stages of recovery who are searching for a more real relationship with a Higher Power of their understanding. By consciously engaging the truly challenging and difficult triggers in life, Lew has realized for himself the gifts awaiting any seeker willing to look at his/her inner wounding. As such, Lew feels a deep calling to be a compassionate spiritual companion to fellow travelers on the journey toward healing and wholeness. Especially in the depths of your, my and our suffering. CHRIS SHIBER spent 40 years as a United Methodist pastor, and has been a spiritual director for 25 years. She received her training at Mercy Center, Burlingame, and has directed the 19th annotation of the Spiritual Exercises of St. Ignatius seven times.Working with directees to “increase their awareness of the presence and power of the Holy in their lives,” Chris believes the Holy Spirit is the true “director,” and discerns with the directee the interior movements of that Spirit. Chris grew up in New York, raised her two children in Oakland, has lived mostly in the East Bay, and currently lives in Sacramento. Above all, trust in the slow work of God. CATHY SQUIRES was born in Calcutta to a large Chinese family. Her journey has taken her through India, East Pakistan, Hong Kong, and finally, to the United States. Her spiritual journey through life-long healing and transformation has given her the gift to hear others from diverse backgrounds. She is passionate about emotionally healthy spirituality and emotionally healthy leadership. Her long involvement in church and ministry, her work in early childhood mental health, and her work with the under-resourced have shaped her presence to allow each directee to bring his/her richness and authentic self into a spiritual direction session. Cathy received training as a Spiritual Director at Mercy Center, Burlingame. Graduate studies in human development, faith development, psychology, and counseling help inform her work. The following directors are not accepting directees at this time. CAROL ABBOTT is a retired educator and writer with an abiding interest in lifelong learning. A gardener and outdoor enthusiast, Carol embraces discovering God in nature, everyday occurrences, and diverse faith traditions. Carol was the parent of a child with special needs, and has extensive experience in companioning parents, caregivers, and people facing end-of-life issues. After experiencing the liberating and transformational effects of spiritual direction in the 1990s, she completed her spiritual direction training at Bread of Life in 2006. 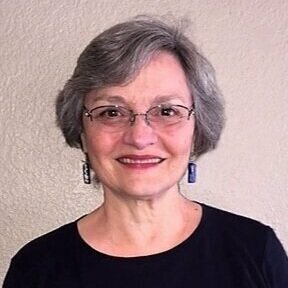 In addition to individual spiritual direction, Carol facilitates spiritual direction groups and has been a member of the Bread of Life faculty for the Listen to Your Life program. She is in awe of the mysterious ways that God works through each person’s life story. She finds that learning from others and mutually exploring the beauty of their sacred story is an honor, privilege, and a source of hope. SANDRA LOMMASSON is the founder of Bread of Life and a Spiritual Director. Her passion is creating processes and pathways for awakening to the depth dimension of life in the everyday moments where we are each met by the Holy. Since 1996, she has been involved in the formation of Spiritual Directors and leaders of religious and public organizations. 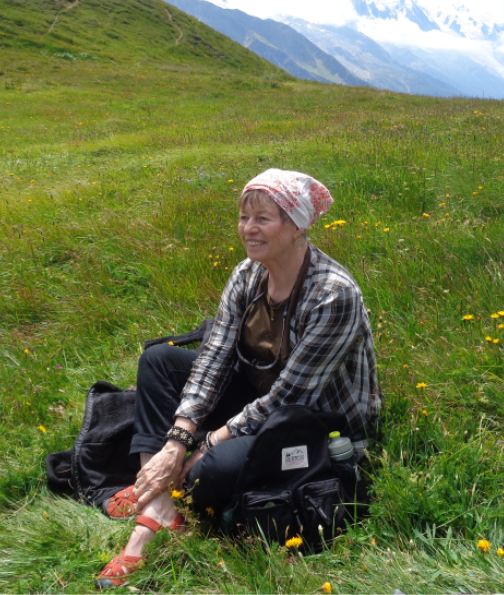 Sandra also serves as a retreat leader and Contemplative Dialogue facilitator and mentor. She has published several articles about Spiritual Direction and served on the Council of Spiritual Directors International from 1999-2005. She is mother of two grown children and delights in six very special grandchildren. She was formed as a Spiritual Director and then as a supervisor through Mercy Center, Burlingame. The human soul is the sacred center of a human being - like a deep well that flows out of and into the heart of the Holy. Providing a space where a person can explore and discover the deeper currents of their own life is a gift beyond imagining because it ripples out in every direction for the good. Spirit cannot be contained. Spiritual direction is world-shaping work!